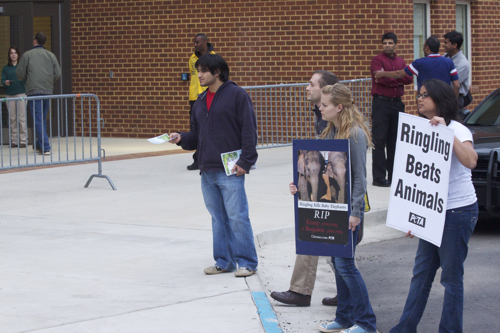 George Mason University police violated the First Amendment rights of protesters during the Ringling Brothers Circus demonstrations. 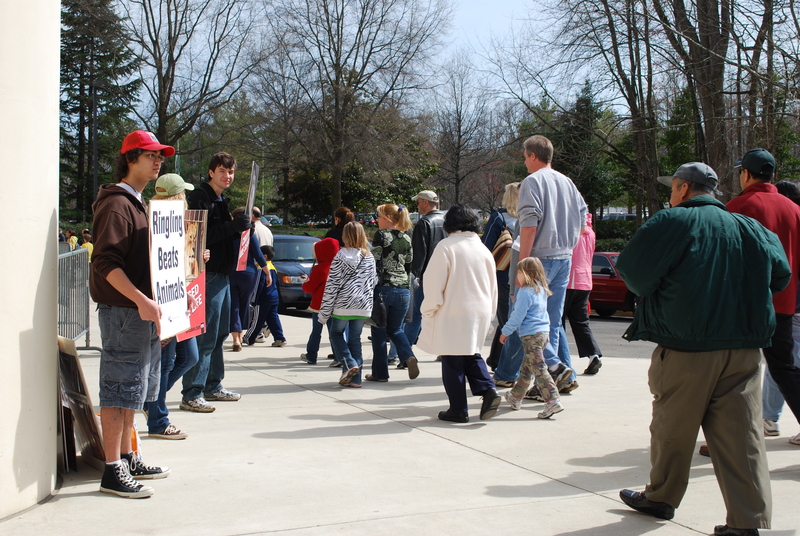 The protesters were Mason students, as well as members of the local community. 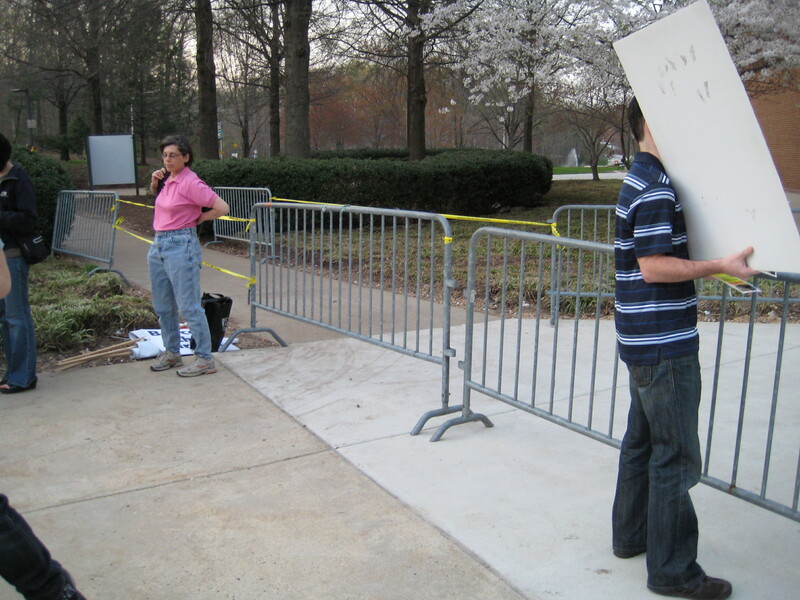 Before the Ringling Brothers protests last week, several metal barricades were erected by the GMU police. The barricades severely restricted both our movement and our message. The barricades prevented animal rights leafletters from distributing informative pamphlets and ultimately restricted their message and actions. As of this evening, additional barricades further hindered our ability to distribute information. The erection of the barricades was ridiculous considering our nonviolent and lawful actions. Their placement was meant to demonize us and it demonstrates bias against animal rights protesters. 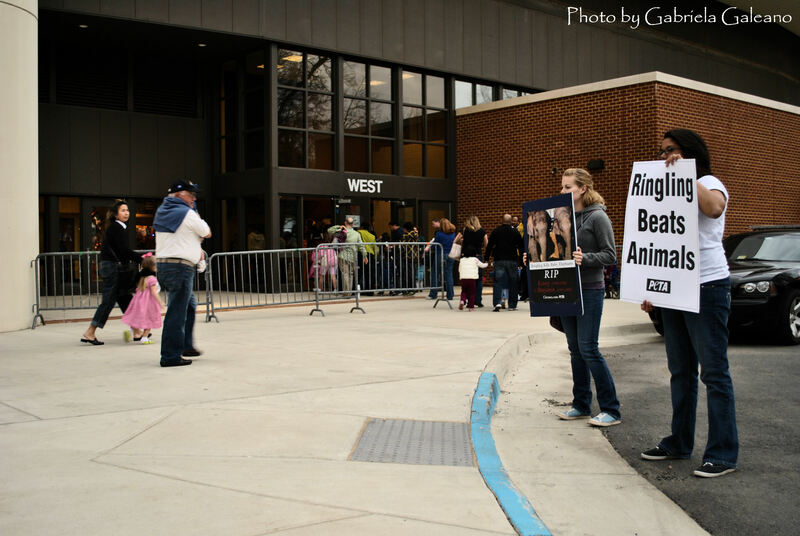 Our goal during the demonstrations was to educate patrons about the animal abuse that occurs in circuses. We also encouraged circus patrons not to endorse animal circuses in the future. If obstructing traffic was our goal, then we would have engaged in different tactics. We would not be leafleting and holding signs; but instead, chaining ourselves to the Patriot Center entrances. We were lawful during these protests and there was no reason for the GMU police to violate our First Amendment rights. Protesters clearly NOT blocking traffic. Same area (West Entrance), shot facing left instead of right.